Learn more about our paper writing company. Here at Customwritings.ws we have been providing high quality custom college papers and essays for 3 years. Since we are a professional college writing service, we make it a point to match your assignment up only with writers that have actually taken the same class. In fact, even if you are taking a class that is not part of your major, you can rest assured that our writers did major in the field in question, and can write the paper with ease and efficiency. Many people wonder why we decided to dedicate ourselves to writing papers for college students. A number of these people mistakenly believe that a student should write every paper on their own without proofreading or other types of assistance. While this may seem laudable, we feel it is much worse to see a talented person lose a chance at a good career simply because they are not as good at writing as classmates that actually have less talent in the field itself. Even though we can write papers from the idea selection stage to final product, we are also able to help you at any stage where you may get stuck. This includes outlining the paper, organizing research tasks, developing the thesis, proofreading, and formatting. Since all of our writers are familiar with APA, MLA and other style guidelines, you can rest assured that documentation methods will be every bit as sound as the grammar and content. Over the last 3 years we have helped thousands of students get good grades in classes that they might have failed. As each of these students go on to graduate from college and get good jobs, we take enormous pride in knowing that we played a small role in helping them to build better lives for themselves. 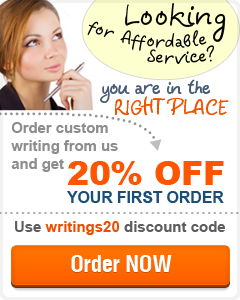 Without a question, if you need writing help, do not hesitate to contact us and find out what we can do for you. Why would you settle for another college essay writing service when our outlook on college papers is so fundamentally geared toward the highest good for you and others in our world?